Nine out of 10 aspiring homebuyers believe they need a down payment of 10 percent or more, when over the past three years, the average first-time buyer made a down payment of 6 percent. Beyond misconceptions about down payments, aspiring buyers are struggling to find affordable housing and balance student loan payments with homeownership costs. The National Association of Realtors (NAR) released its 2016 Aspiring Home Buyer Profile, which revealed one of the top barriers would-be homebuyers face — misconceptions about down payments. According to NAR’s Profile of Home Buyers and Sellers, the median down payment for first-time homebuyers has been 6 percent for the past three years. But when aspiring buyers were asked what down payment was required to purchase a home for the aspiring buyer profile, 87 percent of them said a payment of 10 percent or more was required. “Current non-owners’ ultimate goal of owning a home may not be as far-fetched as they believe,” said NAR President William E. Brown in a statement. 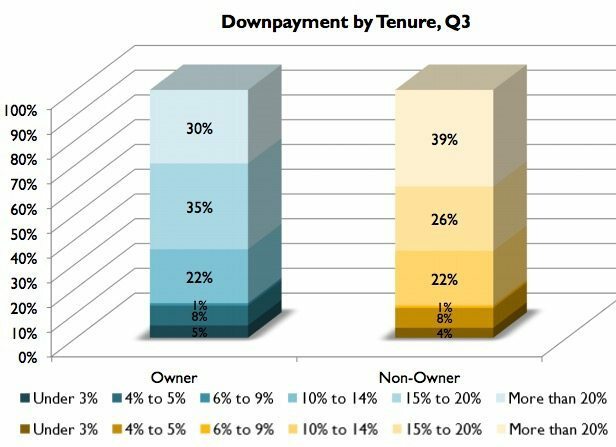 Beyond a lack of knowledge about down payment and mortgage options, would-be buyers are struggling to find affordable housing and balance the costs of owning a home with student loan repayment. “In addition to having to postpone important milestones such as getting married and starting a family, many young adults are financially falling behind previous generations in part because of having to prioritize repaying their sizeable student loans over buying a home and saving for retirement,” said NAR Chief Economist Lawrence Yun in a statement. More than half of non-owners say they can’t afford a home, while another 20 percent said they need the flexibility of renting. Moreover, 59 percent said they aren’t comfortable with taking on a mortgage while trying to pay off student loan debt, with nearly 50 percent saying the loans will delay their homeownership goals by five years. These barriers have dampened would-be buyers and even current homeowners’ optimism about buying a home. The share of would-be buyers who thought it was a good time to buy dropped 8 percentage points to 55 percent, and homeowners’ optimism about buying a home dropped, but still remained around 80 percent. “Nearly all non-homeowners said they want to own a home in the future (87 percent), but it’s evident that higher rents and home prices — up 41 percent in the past five years — along with limited entry-level supply and repaying student debt have combined to make buying a challenging goal,” Yun said. Despite these barriers and dampened optimism, 80 percent of aspiring buyers and 90 percent of owners still believe owning a home is an integral part of the American Dream.